Shared world shooter Anthem is now available for PS4, Xbox One, and Windows PC for those who didn’t play it via Origin Premier, Origin Access, or EA Access for Windows PC or Xbox One. Developed by Mass Effect and Dragon Age studio BioWare, Anthem is more in the mould of Destiny or The Division rather than the role-playing games the studio is usually known for. The Anthem download size is around 40GB on PS4 and Xbox One and close to 50GB on PC. There’s a day one patch too that is around 7GB on consoles and 5GB on PC. In a stream leading up to the game’s release, Anthem developers announced several changes that would be coming to the game in the months to come. These are as follows. Looking into crossplay, it’s feasible on the back end but they need acceptance from the console manufacturers. 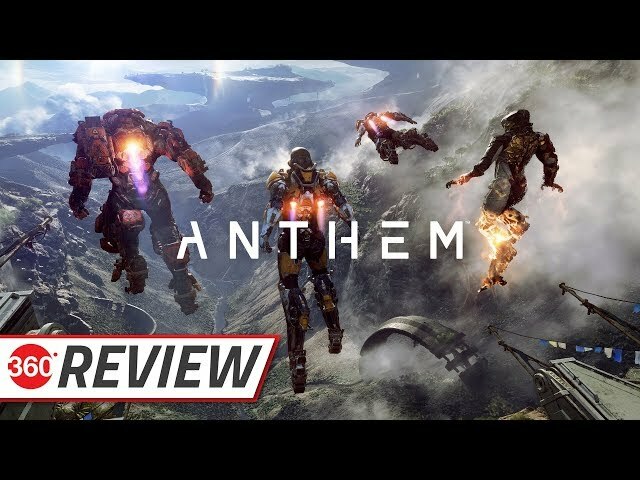 For what its worth, Anthem isn’t worth picking up in its current state if our time with the game is any indication. There are a host of technical and design issues that make playing through BioWare’s latest far from a fun experience. And with Destiny 2 seeing a slew of improvements and The Division 2 appearing to be promising, there’s little reason to invest time into Anthem until its updates fix its myriad of issues, making us wonder why the game was released in the state it’s in to begin with. More so when you consider EA CEO Andrew Wilson’s comments regarding Anthem’s shift in release date from 2018. “Regardless of how it’s being portrayed, we’re not look at that as a delay, we’ve chosen to launch Anthem in [the fourth quarter]. The date is chosen by portfolio balance, not product readiness,” EA CEO Andrew Wilson said in a call to investors at the time. “And we’re really excited by the way the new Battlefield is shaping up. It probably doesn’t make too much sense to launch Anthem right by it. As a new IP, it probably makes sense to give [Anthem] its own launch window.